Do you know about our Tuva-luvs? 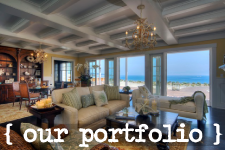 If you don’t, let us introduce you to one of our favorite sections of our website. On our Tuvalu Home website we have a section called Tuva-luvs, it’s dedicated to our team and our team’s favorite items we carry on the website as well as some of our favorite spots around Laguna Beach. It’s a great way to get to know the Tuvalu Home family! If you have shopped on our online store you may have noticed the Tuva-luv ribbon draped over certain items. Those are Tuva-luvs! That item has been picked by one of our team members as a favorite of theirs! On Thursdays we are going to start spotlighting the team’s Tuva-luvs. 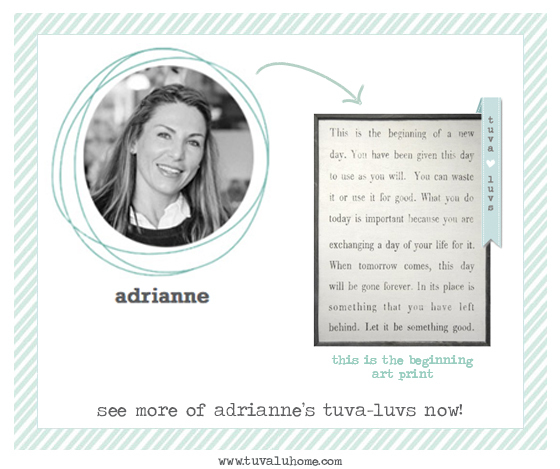 This week we’re starting with Adrianne and one of her Tuva-luvs! One of her Tuva-luvs is the ‘this is the beginning’ art print! This is a fun print that motivates you to get the most out of your day! Check out the print here! This piece is great addition to a gallery wall or perfect as a stand alone piece. If you’ve got wall space to fill we think this would be great!